Welcome to the community! This over 55 active retirement community is located in New Market, Maryland just off Mussetter Road and Old National Pike. Located minutes from historic Downtown Frederick and Downtown New Market. Close to shopping, medical, and restaurants. Community was established in 2005, with 233 homesites with a mix of single and villa style homes. Master bedroom and laundry are on the first floor. 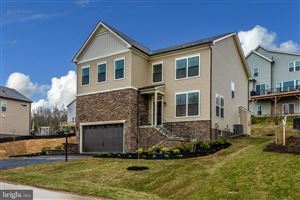 Subdivision was built by Ryan Homes. You will feel like you are at a resort with all the amenities including a clubhouse with outdoor pool, indoor spa, meeting and exercise rooms, and tennis courts. HOA dues cover lawn care, edging, mulching, pruning, leaf raking, trash and debris removal, snow removal from driveway to front door, driveway sealing, outside home repairs, and roof. I live in this wonderful community, if you have any questions, please always feel free to contact me with questions or concerns.